Happy Halloween! Are you celebrating this year? People will probably have parties this weekend of I am assuming last weekend since Thursday night isn’t ideal for most outings! I am not doing anything, just massive studying for all those quarterly tests I have tomorrow which will be my biggest day. The first two days were not to bad, but tomorrow I have Psychology, Government, Ancient History, Business Law, and Health. Ugh. 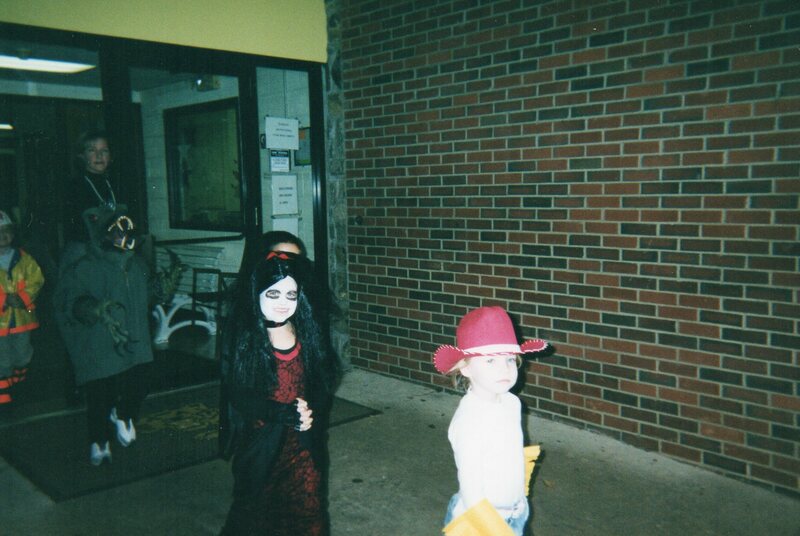 I always wish I was still a little kid and had trick-or-treating to look forward to. 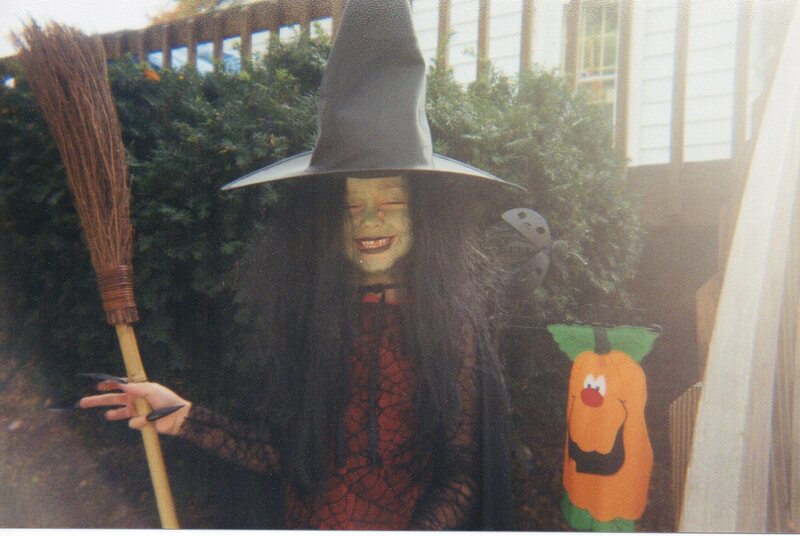 I remember always not being able to wait to come home from school to put my costume on, get my large pillow case, and go out there and grab ALL THE CANDY! The last time I trick-or-treated was freshman year of high school actually. It was just me and 4 other guys and we had no costumes on, but were still able to get candy, haha! We had some crazy adventures that night. At one house an elderly woman answered the door, just a crack, and gave us this death glare. She thought we were trying to rob her and she hastily closed the door. As we were walking away we saw her pull the curtain back and watch us to make sure we left. Haha! One women gave us money because she didn’t have any candy and she wouldn’t take no for an answer. We felt bad taking it, but she wouldn’t have it. Thankfully it was only a few cents. Anyway, I don’t eat or even like candy (ugh to sweet, to many allergies, and just not my definition of a treat) anymore so I am not missing out in my old age now anyway. Teens my age still actually go out and try to forge for the sweets and a bunch of people dressed up for school in typical barely appropriate adult costumes. Costumes were always fun once I figured out what I wanted to be and that was always something “scary”. 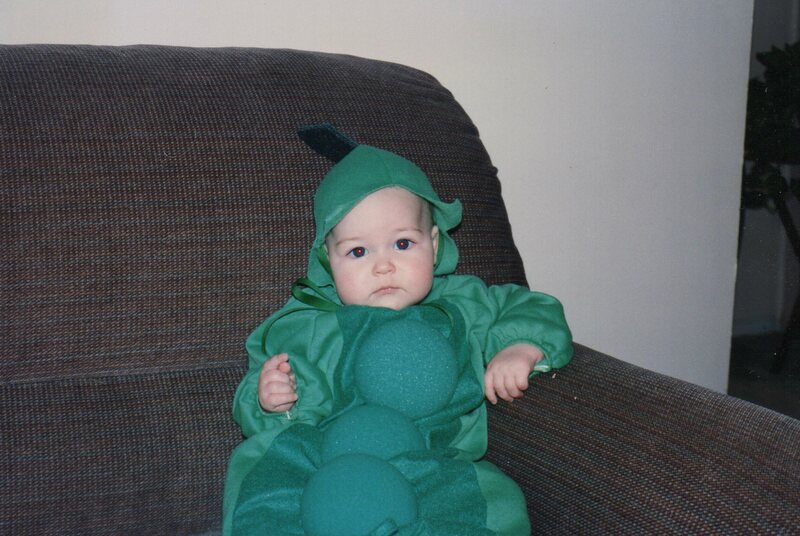 I didn’t want those girly costumes. When I was a 7 year old girl I wanted to be a scary dead thing and a scary dead thing I was. Creativity at its best! 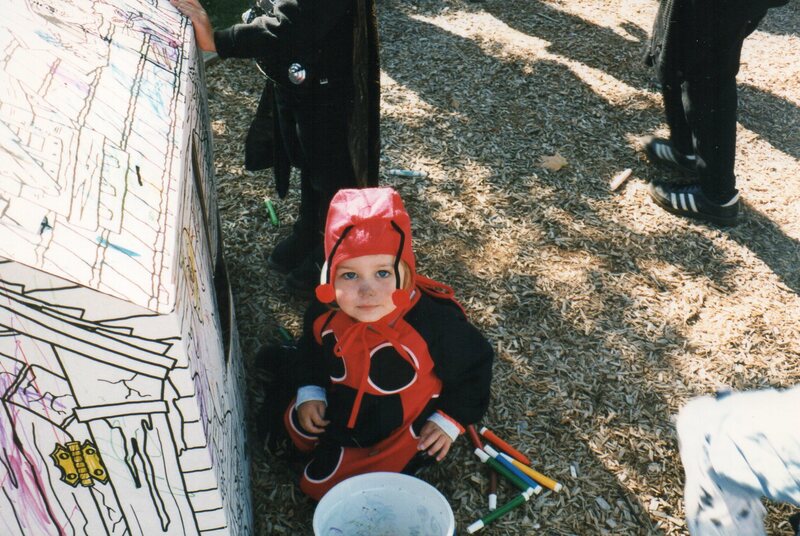 I asked my mom to find some old Halloween pictures to show you guys of some of my memorable costumes. We only found a few but These were some of my favorites anyway. And as the years went on I started repeating the same costumes/”personas” so these will do. This was I think me at 3 years old. I loved lady bugs and I still think they are the best bug. The only bug I am not scared to touch! This was from Kindergarten so I was maybe 5. I was a Vampire. Crazy hair (wig) and so so pale! When I lifted my arms I had bat wings! It was pretty cool. 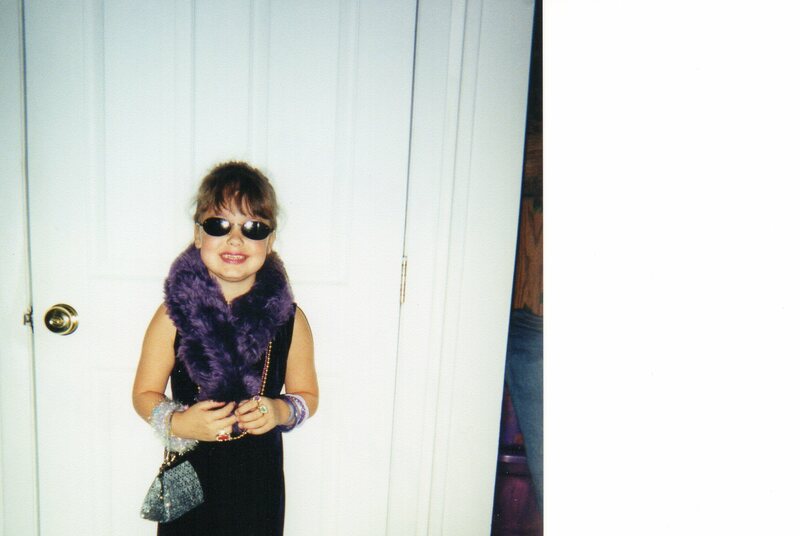 I am not sure how old I was here, but I was a movie star, haha! I think this was second grade so I would be 7ish. I was a witch with worts! We used this sticky adhesive and witch hazel on fake worts we bought and just put them on my face. Loved it! I won Scariest at my dance schools Halloween party that year! 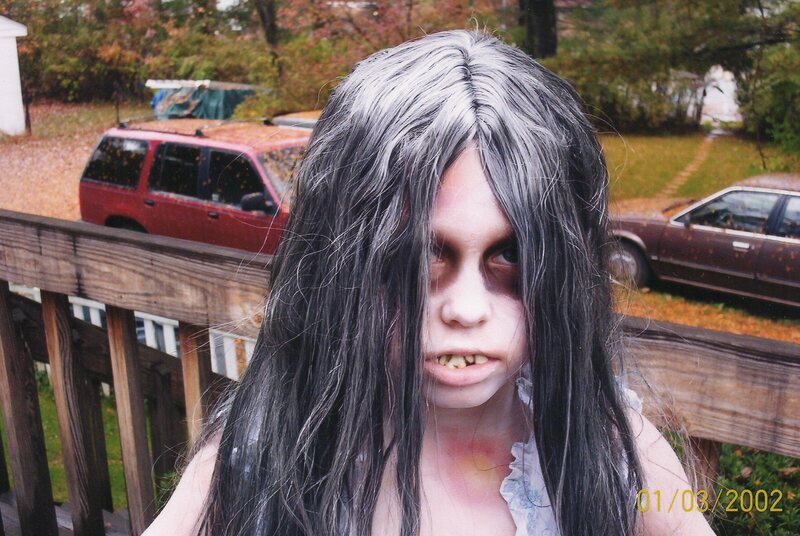 This was the year (2004ish) I was the “dead thing”, no not a zombie, but a “dead thing”. 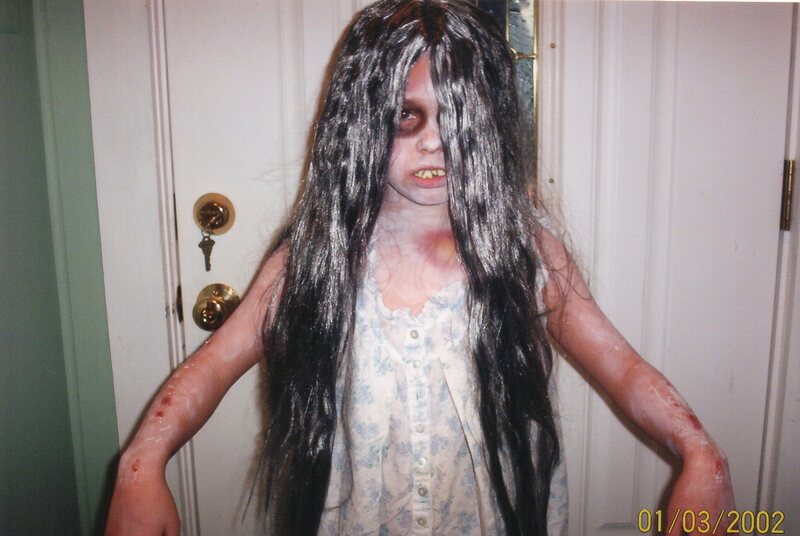 Everyone thought I was the little girl from The Ring. I can see the comparison. This was my favorite costume! I loved the bruises my mom did with her fancy make-up skills haha! and take a look at my arms. That is peeling “skin”. It was this glue stuff that you spread on you body and then you would scratch a peel areas up to make it look like dead skin! So cool! I won best overall (the highest achievement) at the dance Halloween party this year. This was my best costume hands down ever! Some other costumes I had over the years were Cinderella (the one and only girly princess costume I ever had), a vampire (I used those fake blood capsules you bite on and blood pours out your mouth ;), another more adult witch when I was older, a killer clown, and an actually zombie. Those are just the ones I can remember off the top of my head. Okay, that girl’s face from the ring has been staring at me the whole time I have been typing this last part. Kind of creepy. But I love scary movies even though I used to be horrified and could never watch a zombie movie, now I have grown out of that fear over the last 2 years and I can not find a movie that have actually had the ability to scare me. I still like horror and scary movies, but they just don’t scare me. My mom is the horror movie connoisseur and she knows the good stuff, but even the best of the best can’t get me. I wasn’t even able to watch the first season of the Walking Dead when it was first one because I was still to scared. But then my mom had me watch the season on tape and I fell in love, now it is my favorite show. Still not scary, but it is so good! Ones with the kiddos, what are they dressing up as this year? Do you have a lot of say in what your kids can be or do you give them free reign to decide? Are you a candy lover? What’s you favorite? What is you favorite scary movie? I used to love this low budget movie, Fingerprints. It sacred me the first time so much, but then as my tolerance for horror miraculous increased, it was not as good the second time around. Cute costumes! My favorite when i was a kid was of “Elliot the Dragon” from Pete’s Dragon. This year, I’m dressing up as my favorite TV character, Bones. Yup, wearing it at work! Favorite candy would be anything chocolate- heath bars are the best! That’s cute! Chocolate is always a winner 😉 Have a great Halloween as well Chrissy!